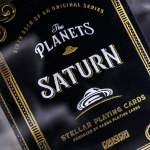 David Goldklang (Vanda Cards) has traveled more than 30 astronomical units (about 2.8 billion miles) through the solar system to bring us one of the most beautiful series of playing cards inspired by the outer space. 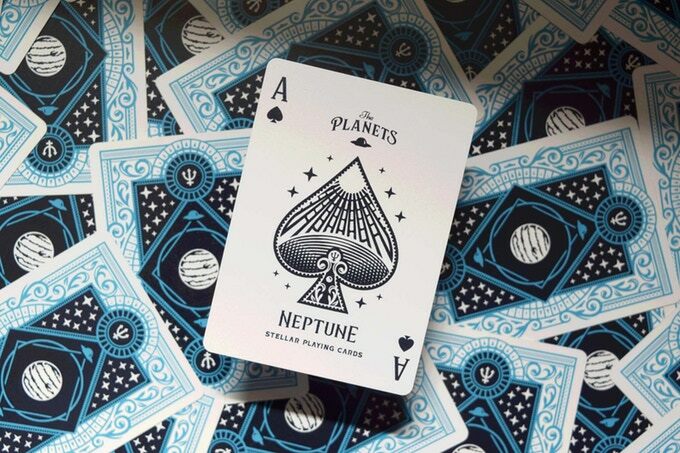 The last planet just received him with his new deck: THE PLANETS: NEPTUNE. 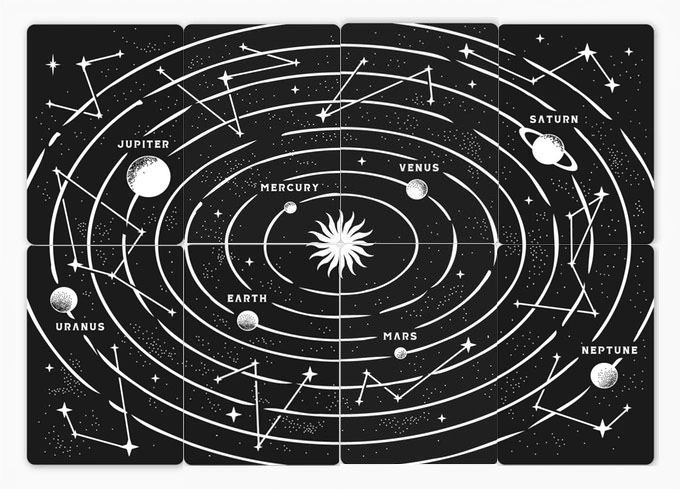 Illustrated by the Serbian Srdjan Vidakovic (Widakk), this PLANETS series is dedicated to the planets of the Solar System. The artist’s work combines vintage aesthetics with elegance and luxury finishes. 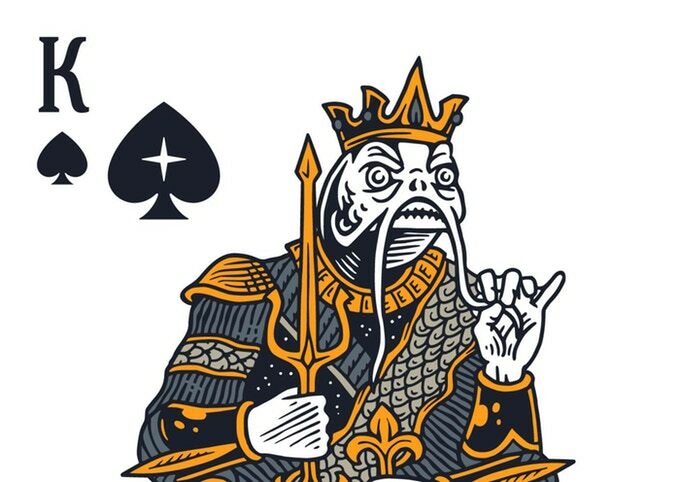 This eighth and last deck is dedicated to Neptune, the farthest from the sun. The artist has combined again the physical and astronomical aspects of the planet with the mythological name due to the Roman god of the sea. 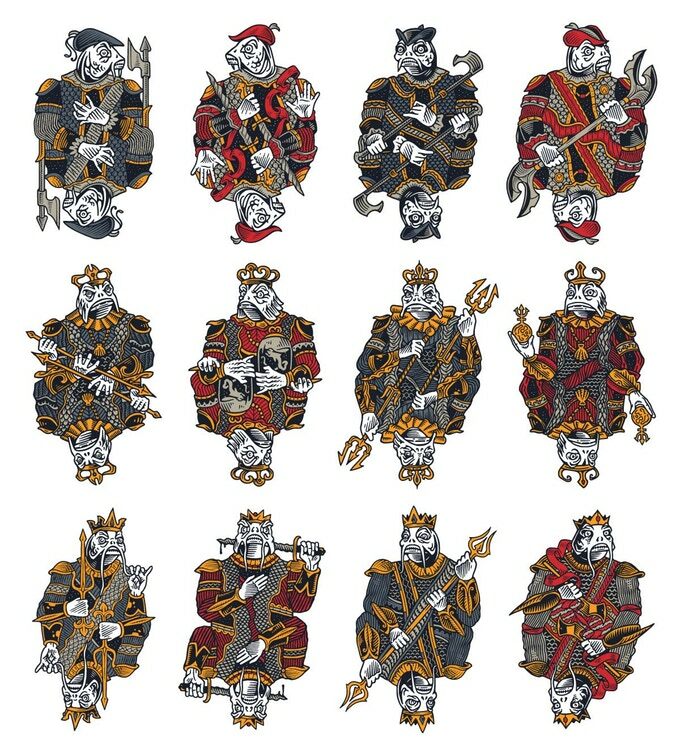 With these elements, Srdjan has created its inhabitants as monstrous sea creatures, used to moving in the cold surface of the planet. 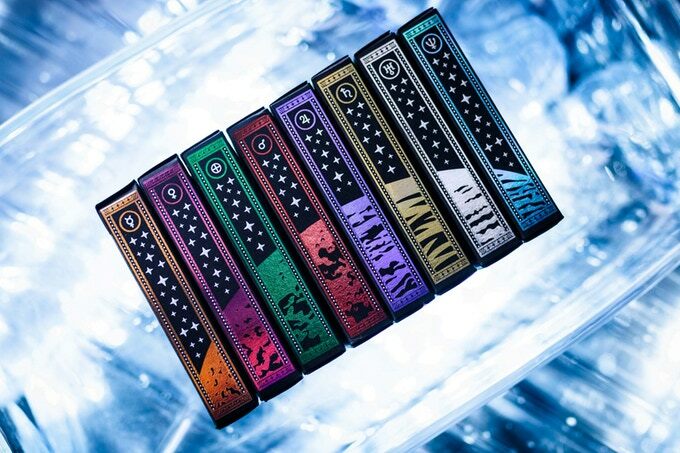 The aesthetic essence of the series is thus maintained, with a retro look of engraved designs and a simple but effective color combination. 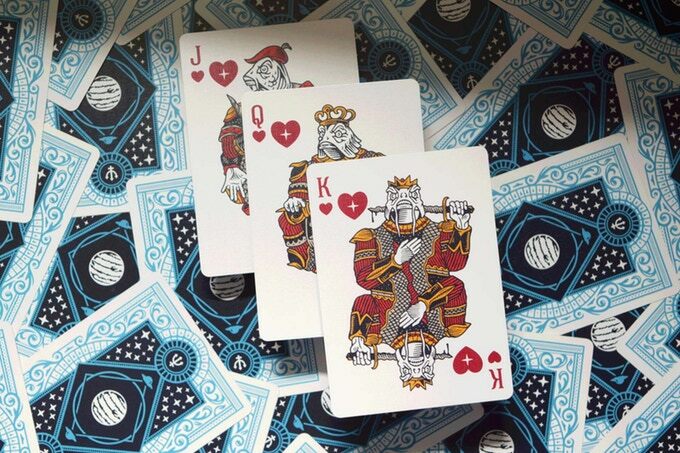 That simplicity in the designs and the white backgrounds preserve the perfect playability of the cards. 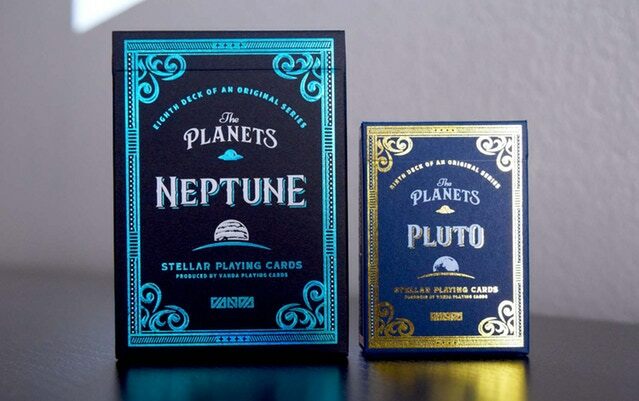 Like in the previous ones, two editions will be created with the same cards and different tuck cases. 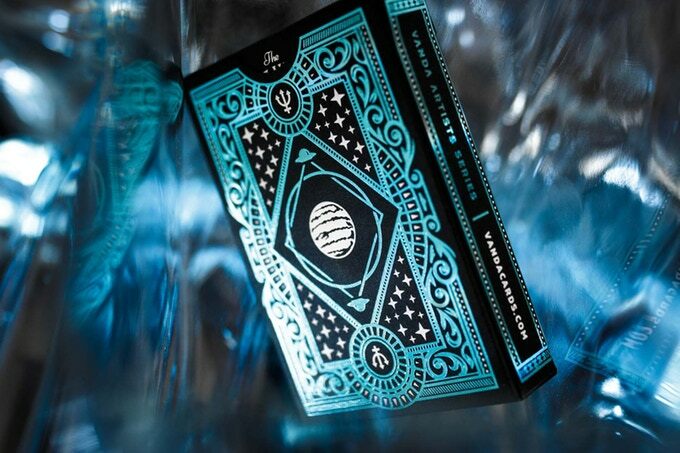 The Standard Edition with a print run of 2000 decks (at least) will have black stock, blue and white holographic foil, embossing and inner foil printing. 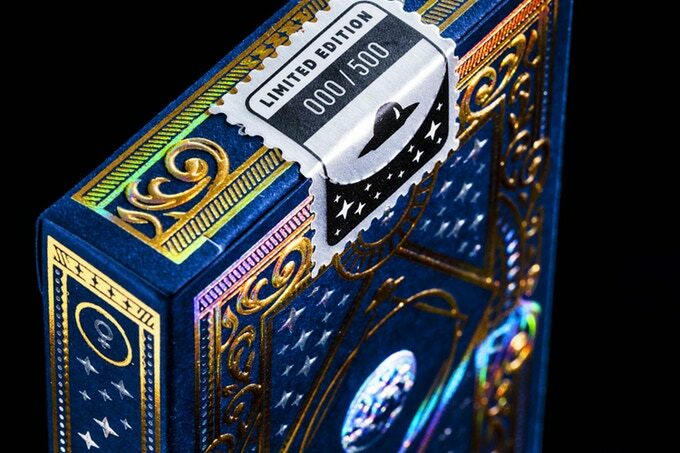 The Limited Edition, with only 500 decks, will be made with dark blue stock, gold and silver foil and a numbered seal. The tuck case is an authentic work of art that will be created by Clove St. Press using a direct printing technology in which the embossing and the foil create authentic masterpieces. 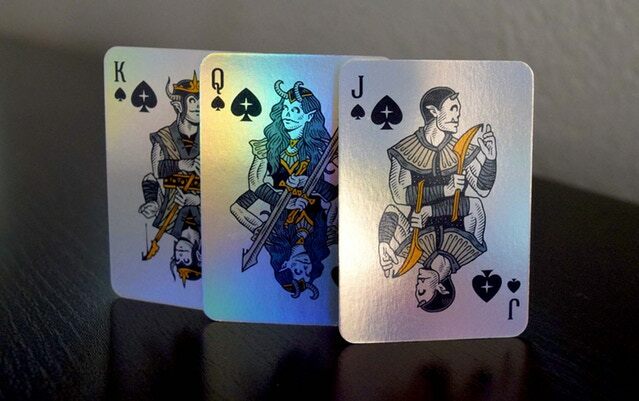 With two different foils both outside and inside, these tucks are simply stunning. 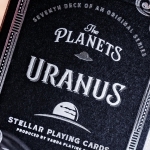 The cards will be printed by the USPCC and one of them will be part of a solar system map (completed at last!) 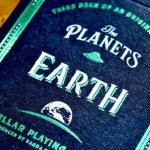 with others in the previous and following decks of the series. This deck so completes the series with bold tuck cases that will forma nice arc when joint together. The campaign has just begun and it will be a success for sure. If you want to complete your collection visit the project website and raise your pledge. 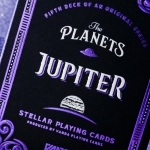 The backers will have the possibility of getting the previous decks as well as secret add-ons that will be unlocked throughout the campaign so, stay tuned! 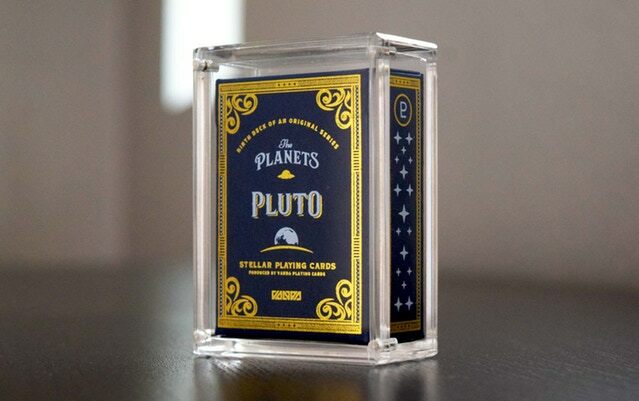 The first surprise has been a “mini” edition of a deck dedicated to Pluto, degraded to a dwarf planet because of its size and erratic orbit. It is a limited edition printed by MPC on pearlescent paper in a foiled tuck case and a carat display case. What other surprise will there be tomorrow?